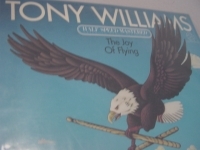 Classic Analog LPs - items 1050 to 1075 Shop MyMusicFix!! 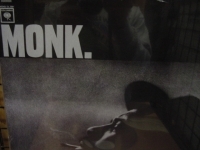 "Thelonious Monk, Monk and Sonny Rollins"
Classic Analog LP Pressing. 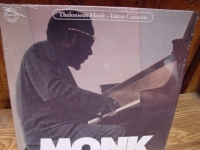 As Bill Evans once said "We can be grateful to him for combining aptitude, insight, drive, compassion, fantasy, and whatever else makes the total artist.." For those who may not have a Monk LP, but love jazz, this is a great place to begin. 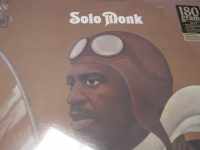 Tracks Include: "Liza (All The Clouds'll Roll Away)" "April In Paris" "That Old Man" "(Just One Way To Say) I Love You" "Just You, Just Me" "Pannonica" "Teo"
Classic Analog LP Pressing. 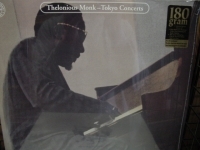 Recorded in Hollywood, Monk teams with Maestro Oliver Nelson to make one of his greatest, if not his greatest, recordings of all time! 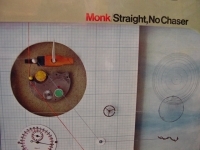 Tracks Include: "Let's Cool One" "Reflections" "Rootie Tootie" "Just A Glance At Love" "Brilliant Corners" SIDE TWO: "Consecutive Seconds" "Monk's Point" "Trinkle Trinkle" "Straight, No Chaser"
Classic Analog LP Pressing. 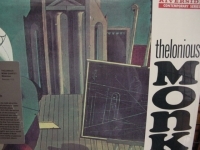 As Bill Evans once said "We can be grateful to him for combining aptitude, insight, drive, compassion, fantasy, and whatever else makes the total artist.." For those who may not have a Monk LP, but love jazz, this is a great place to begin. 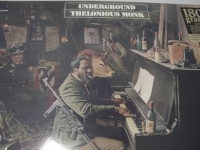 Tracks Include: "Monk's Dream" "Body And Soul" "Bright Mississippi" "Five Spot Blues" SIDE TWO: "Bolivar Blues" "Just A Gigolo" "Bye-Ya" "Sweet And Lovely"
"Thelonious Monk, Plays Duke Ellington"
"Thelonious Monk, Straight No Chaser"
Classic Analog LP Pressing. 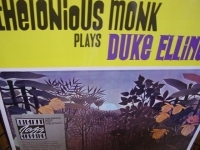 As Bill Evans once said "We can be grateful to him for combining aptitude, insight, drive, compassion, fantasy, and whatever else makes the total artist.." For those who may not have a Monk LP, but love jazz, this is a great place to begin. Tracks Include: "Locomotive" "I Didn't Know About You" "Straight, No Chaser" SIDE TWO: "Japanese Folk Song" "Between The Devil And The Deep" "Blue Sea" "We See"
"Thelonious Monk, The Unique - 140 Gram LP"
"Thelonious Monk, Tokyo Concerts - Double LP"
Classic Analog LP Pressing. 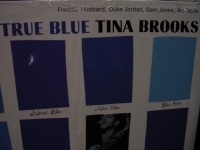 Tina Brooks sound is unique: a bluesy, crying tone that is instantly recognizable. 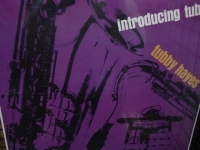 This release from 1960 contains top notch musicianship from a very young Freddie Hubbard, and the brilliant Duke Jordan, who is absolutely in tune with Brook's vision here. 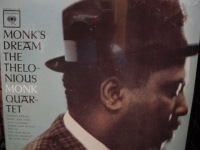 Sadly, although Brooks recorded four sessions for Blue Note, this was the only one released in his lifetime. 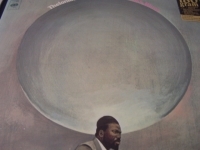 After hearing this, you will want to pick up Jackie McLean's "Jackie's Bag" and Freddie Hubbard's "Open Sesame" -- both prominently feature Tina Brooks playing and compositions from around the same time as "True Blue". Tracks Include: "Good Old Soul" "Up Tight's Creek" "Theme for Doris" "True Blue" "Miss Hazel" "Nothing Ever Changes My Love for You" & "True Blue [Alternate Take]"
"Tom Petty & The Heartbreakers, Damn The Torpedoes"
Classic Analog LP Pressing. 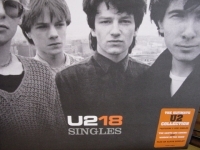 Tracks Include: "Refugee" "Here Comes My Girl" "Even The Losers" "Shadow Of A Doubt" "Century City" "Don't Do Me Like That" "You Tell Me" "What Are You Doin' In My Life?" 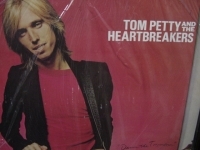 "Louisiana Rain"
"Tom Petty & The Heartbreakers, Hard Promises"
Classic Analog LP Pressing. Follow-up to Petty's 1979 platinum monster Damn the Torpedos was this multi-platinum release. A solid marvel of lush, emotionally charged rock gems. 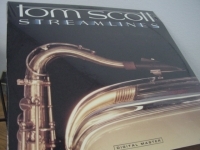 Tracks Include: "The Waiting" "A Woman In Love (It's Not Me)" "Nightwatchman" "Something Big" "Kings Road" "Letting You Go" "A Thing About You" "Insider" "The Criminal Kind" "You Can Still Change Your Mind"
"Tom Petty & The Heartbreakers, Southern Accents"
Classic Analog Out Of Print LP Pressing. 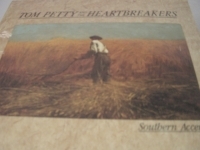 "Southern Accents" is strangely one of Petty`s best records, but with the least amount of hits coming out. "Southern Accents" is probably one of the most beautiful songs Tom Petty ever has made. 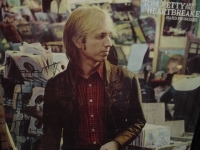 All the songs on the album has their own style, none are alike, and this makes "Southern Accents" Tom Petty`s most varied album ever. And one of his strongest. Tracks Include: "Rebels" "It Ain't Nothin' to Me" "Don't Come Around Here No More" "Southern Accents" "Make It Better (Forget About Me)" "Spike" "Dogs on the Run" "Mary's New Car" "Best of Everything"
"Tom Petty, Wildflowers - Double LP"
Classic Analog Out Of Print LP Pressing. 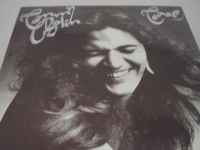 Bolin was a guitar virtuoso with groups like the James Gang and Deep Purple. Before he died, as a solo performer, he made two outstanding examples of straight up rock and roll with a blend of jazz and island music, Teaser and Private Eyes. 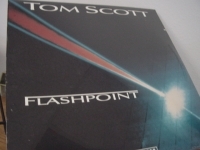 Might sound like a strange mix, but listen to either disk and you will find it hard to believe that this music is over thirty years old and it will make you wonder what other music would have emerged if Tommy had lived to continued. Tracks Include: "The Grind" "Homeward Strut" "Dreamer" "Savannah Woman" "Teaser" "People, People" "Marching Powder" "Wild Dogs" "Lotus" . 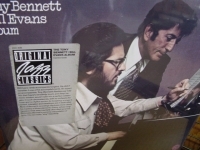 "Tony Bennet & Bill Evans, The Bennet Evans Album"
"Tony Williams, The Joy Of Flying"
"U2, 18 Singles Collection - Double LP"